A primary zone is the only zone type that can be edited or updated because the data in the zone is the original source of the data for all domains in the zone. Updates made to the primary zone are made by the DNS server that is authoritative for the specific primary zone. Users can also back up data from a primary zone to a secondary zone. DNS Notify is a mechanism that enables a primary DNS server to inform secondary DNS servers when its database has been updated. DNS Notify informs the secondary DNS servers when they need to initiate a zone transfer so that the updates of the primary DNS server can be replicated to them. 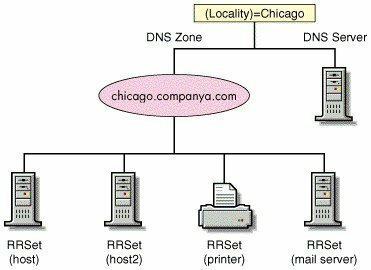 When a secondary DNS server receives the notification from the primary DNS server, it can start an incremental zone transfer or a full zone transfer to pull zone changes from the primary DNS servers. On the initial page of the Wizard, click Next. Uncheck the Store The Zone In Active Directory (Available Only If DNS Server Is A Domain Controller) checkbox. On the Zone File page, ensure that the default option, Create A New File With This File Name, is selected. Click Next. In the console tree, select the appropriate zone. From the Action menu, select New Domain. The DNS Domain dialog box opens. Enter the name for new subdomain. Click OK to create the new subdomain. Select the appropriate DNS server in the console tree. 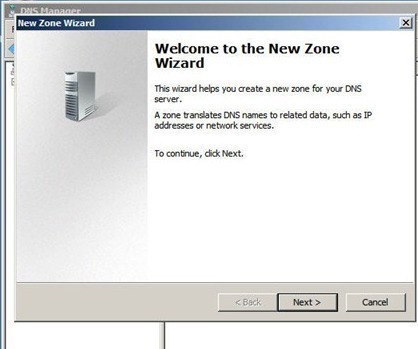 Right-click the DNS server then select New Zone from the shortcut menu. The New Zone Wizard starts. Click Next on the first page of the New Zone Wizard. On the Zone Type page, ensure that the Primary Zone option is selected. Click Next. On the following page, select the Reverse lookup zone option. Click Next. Enter the IP network in the Network ID box for the domain name that the new reverse lookup zone is being created for. Click Next. Accept the default zone file name. Click Next. On the Dynamic Update page, select the Allow both nonsecure and secure dynamic updates option, then click Next. Click Finish to create the new reverse lookup zone. On the Zone Type page, select the Stub Zone option. On the Zone Name page, enter the name for the new stub zone in the Zone Name textbox then click Next. Accept the default setting on the Zone file page. Click Next. On the Master DNS Servers page, enter the IP address of the master server in the Address text box. Click Next. In the console tree, select the zone to add resource records to. Select the New Host (A) option. The New Host dialog box opens. In the Name (Use Parent Domain Name If Blank) textbox, enter the name of the new host. When the user specifies the name of the new host, the resulting FQDN is displayed in the Fully qualified domain name (FQDN) textbox. In the IP Address box, enter the address for the new host. To create an associated pointer (PTR) record, enable the checkbox. The new host (A) resource record is added to the particular zone. A message box is displayed, verifying that the new host (A) resource record was successfully created for the zone. Click Start, Administrative Tools, and select DNS to open the DNS console. Right-click the subdomain in the console tree, then select New Delegation from the shortcut menu. The New Delegation Wizard initiates. Click Next on the first page of the New Delegation Wizard. When the Delegated Domain Name page opens, provide a delegated domain name then click Next. On the Name Servers page, click the Add button to provide the DNS servers’ names and IP addresses that should host the delegation. On the Name Servers page, click Next. Click Start, Administrative Tools, and the select DNS to open the DNS console. Right-click the zone to work with in the console tree, then select Properties from the shortcut menu. When the Zone Properties dialog box opens, on the General tab, select Yes in the Allow Dynamic Updates list box. 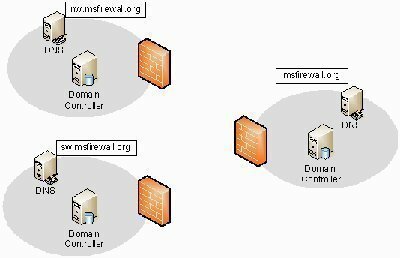 Users can configure their forward lookup zone to use WINS for name resolution in instances where the queried name is not found in the DNS namespace. In the console tree, expand the DNS server node then expand the Forward Lookup Zones folder. Locate and right-click the zone to be configured, then select Properties from the shortcut menu. When the Zone Properties dialog box opens, click the WINS tab. Enable the Use WINS Forward Lookup checkbox. Type the WINS server IP address. Click Add, then OK.
On the General tab, select Yes in the Allow Dynamic Updates list box. Information was very helpful for my interview. Thanks for sharing it !! Information was very helpful towards my exam, thankyou. It i sVery usefull thank you ……. 142 queries in 0.311 seconds.